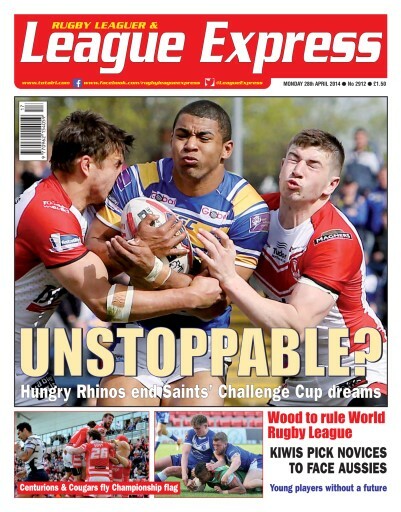 This week's issue of Rugby League Express reports on the fifth round matches in the Tetley's Challenge Cup, with reports and photographs from every match. We have news, comment and analysis in relation to Rugby League all around the world. We report on the Aussie and Kiwi squads for this Friday's Test Match in Sydney. And we have news from every Super League, Championship and Championship One club. We have full coverage of the NRL competition in Australasia, as well as coverage of the game in France, and the amateur game in Great Britain. We have the best columnists in the game, including editor Martyn Sadler, Rugby League icon Garry Schofield, Gareth Walker, who takes a look at the Championship competitions, and our amateur correspondent Phil Hodgson. 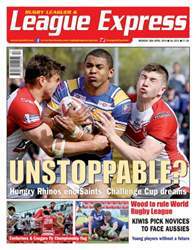 Whatever you want to know about Rugby League, we are confident you will find it in League Express.